Saved and Recent Searches are great new additions to help you quickly jump back in to your workflow. 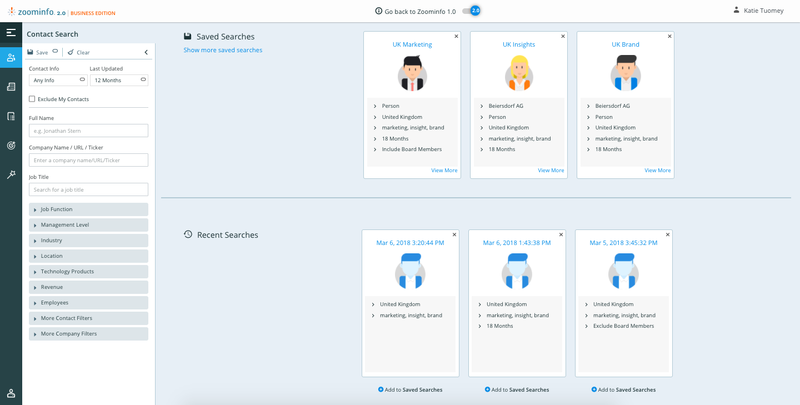 Saved searches will show you the last 3 searches you have created, and recent search will show you the last 3 searches you have done without saving. From this view you can also create a saved search from a recent search. 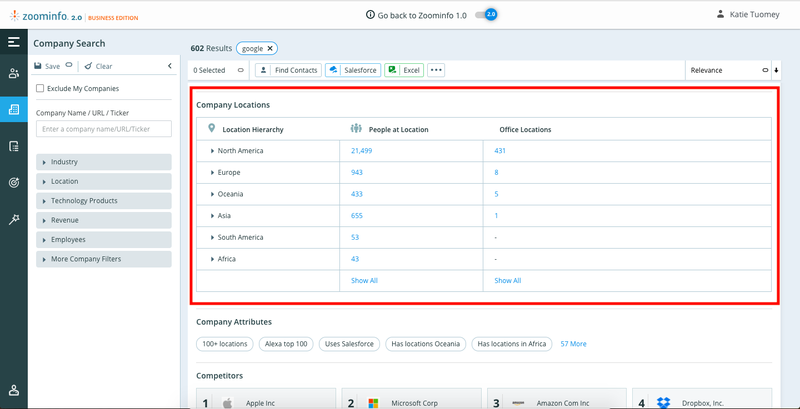 Locations is a great new feature which lists all of the locations of any given company, and the number of employees ZoomInfo has on record in each location. 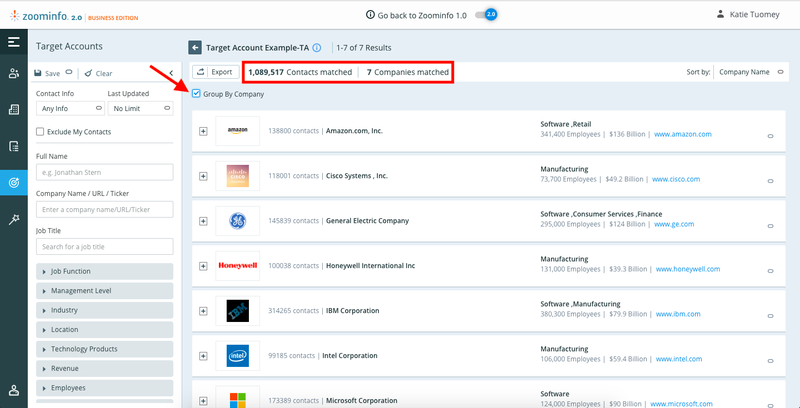 We have added the ability to group results in Target Accounts by company. 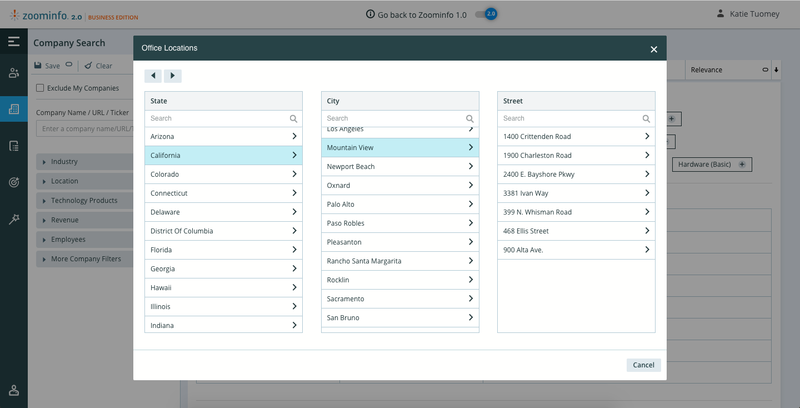 You can now further organize the data you have uploaded in order to more efficiently refine your search results.